“Perogies and Riders football are Saskatchewan,” says Rob Engel, who, along with his wife Chelsey and their family, owns Baba’s Homestyle Perogies in Saskatoon. The diner-style restaurant in the city’s north end industrial area is world famous, not only for its sumptuous homemade Ukranian fare, but as what may be the only drive-thru perogy restaurant on the planet. As such, it’s a must-stop eatery for visitors to the city. “It’s part of Saskatchewan culture,” says Engel, who’s been at the helm of the nearly 40-year-old Baba’s since 2006. Locals, particularly those of Ukrainian descent (at 16.5 per cent Saskatoon is home to Canada's largest percentage of Ukrainian Canadians per capita within a major city) see the restaurant produce as many as 10,000 perogies, 120 litres of borscht and 3,000 cabbage rolls a day. And they’re all handmade daily by a largely Ukrainian staff who bustle in the kitchen that takes up about three quarters of the restaurant (which also sells pre-packaged frozen items). Where better to get a taste of Saskatoon’s Ukrainian flavour? 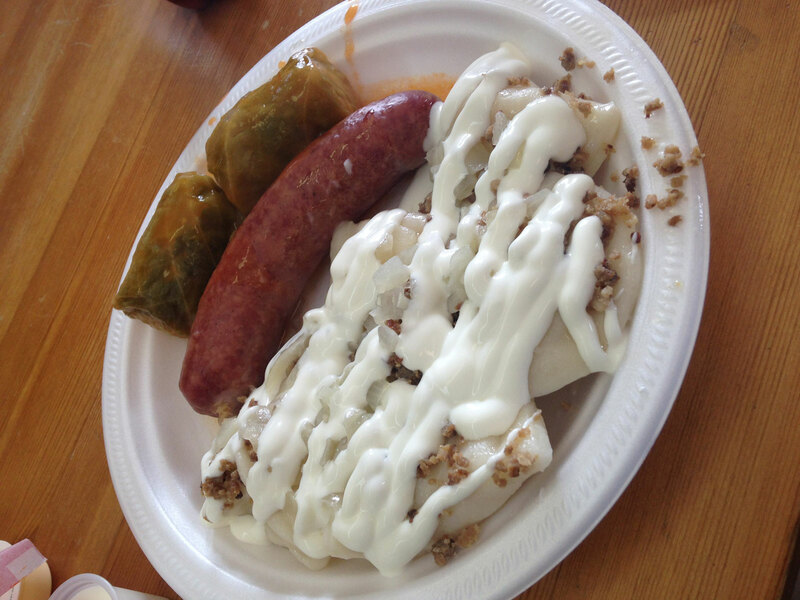 The most popular menu item is the Super Combo (five perogies, two cabbage rolls and one smokie — a steamed sausage), with “BOS” (ground bacon, onions and sour cream). 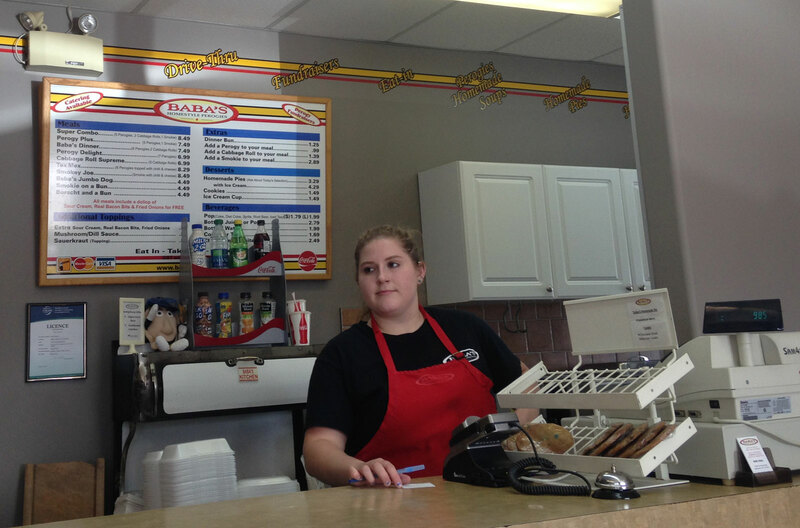 Many of Baba’s customers are regulars, drawn by the authentic home-style cuisine.